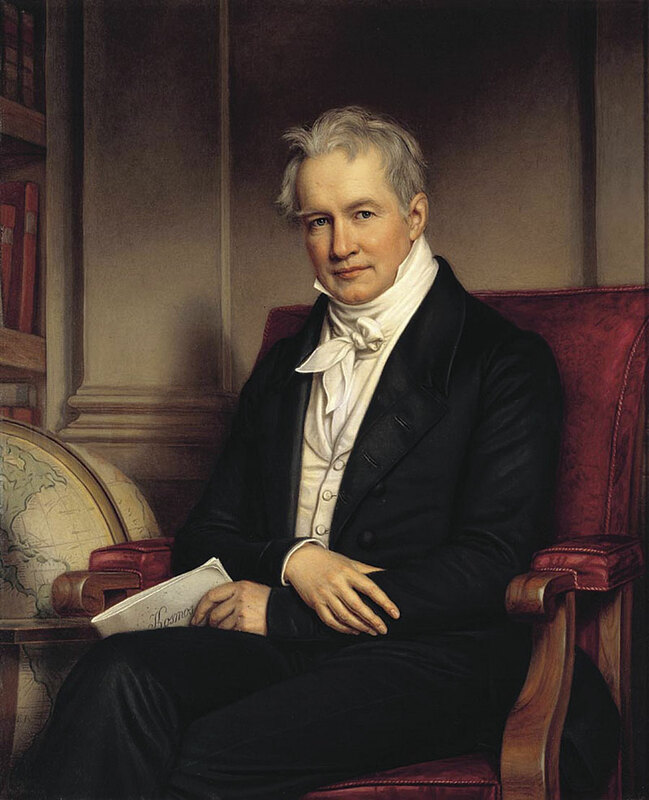 Alexander von Humboldt, the famous Prussian explorer, geographer, and naturalist, shaped the way we think about nature. Alexander von Humboldt, the famous Prussian explorer, geographer, and naturalist, was the subject of the Keynote Address by Andrea Wulf at the 2016 Esri User Conference (Esri UC) in San Diego, California, this past June. At the dawn of the nineteenth century, Humboldt was the embodiment of a Renaissance man. During an expedition to the Americas, he climbed steep, icy Mount Chimborazo, an inactive stratovolcano in today’s Ecuador; battled oppressive heat, rain, and mosquito hordes while trying to steer clear of crocodiles during a trip down one of South America’s longest rivers, the Orinoco; and met two American Founding Fathers, president Thomas Jefferson and future president James Madison. Perhaps you’ve never heard of Humboldt. Wulf, who wrote a book about his life called The Invention of Nature: Alexander von Humboldt’s New World, doubts you have. But she hopes you will come to know and appreciate him as the world once did. 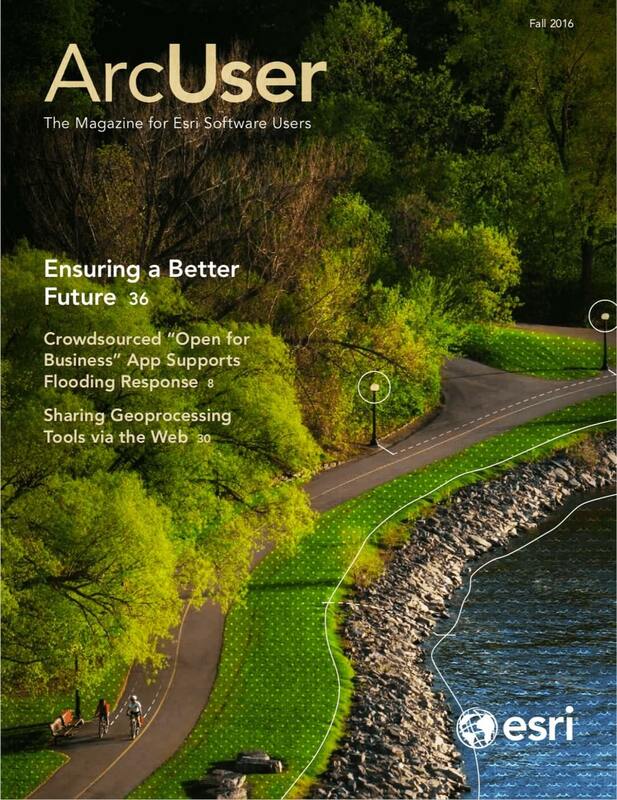 Esri president Jack Dangermond gave The Invention of Nature a rave review. “I read her book, and it was amazing,” he told the Plenary Session audience. Wulf extensively researched Humboldt and his writings, including his five-volume scientific crown jewel, Cosmos: A Sketch of the Physical Description of the Universe. She credits him for first raising the alarm about human-caused climate change, being a pioneering force in the fields of infographics and mapmaking, and bringing the arts and sciences together to understand nature. Perhaps you haven’t heard of the man, but you may have heard of the Humboldt penguin; the Humboldt Current; the Humboldt squid; Humboldt’s lily; Humboldt County, California; or, perhaps, even Humboldt, Saskatchewan. Though many places and things bear Humboldt’s name in honor of his scientific observations and explorations, his story languished in relative obscurity for years until Wulf published The Invention of Nature, named by the New York Times as one of the 10 Best Books of the Year in 2015. A poster reproduction of the lithograph of Humbolt's Naturgemälde was given to everyone who attended the Esri UC Plenary Session. Wulf said Humboldt, who was born in Berlin, was “brazenly adventurous—not a cerebral scholar,” a man considered the “greatest and most famous scientist of his age.” Essentially forgotten over time except by a small circle of scientists, geographers, and naturalists, Wulf said her goal is to return him to his rightful place in the pantheon of science. “Humboldt was a scientist who believed you can’t sit in your study and learn from books,” she said. “You have to go out and see the world. And it shaped his view of nature.” He had an insatiable thirst for knowledge about nature. Fascinated by everything from fluttering butterflies to rumbling volcanoes, he was famous for his far-flung explorations and scientific observations that led him to view nature “as a global force.” Humboldt witnessed this interconnected ecosystem as he journeyed through South America from 1799 to 1804. On that trip, he lugged barometers, thermometers, cyanometers—42 instruments in all—that he used to study the environment. The intrepid explorer noticed signs of human-caused climate change. He warned of trouble after a visit to Lake Valencia in present-day Venezuela, where he saw that the land surrounding the lake was barren, having been cleared of trees for plantations that grew cash crops like indigo, sugar, and tobacco. “Forests had been felled. Heavy rain was washing off top soil. The lake level was falling and [farmers were] diverting water to irrigate fields,” Wulf said during an interview from her home in London, England, prior to the Esri UC. Humboldt noticed other ways that humans were negatively altering the ecosystem—for instance, depleting the ocean’s oyster stocks from overfishing and damaging the land from mining operations. The Invention of Nature describes in detail Humboldt’s quest through South America, where he mapped rivers, collected plant samples, studied rocks (he was a trained mining inspector and geologist), and even conducted experiments on electric eels. Following a 19,413-foot climb up Mount Chimborazo that left him bloodied and ill, he took measurements—such as altitude, air temperature, and barometric pressure—at various locations and took extensive notes on the locations of plants and animals. He then began to sketch his Naturgemälde, or “painting of nature,” loosely translated into English. 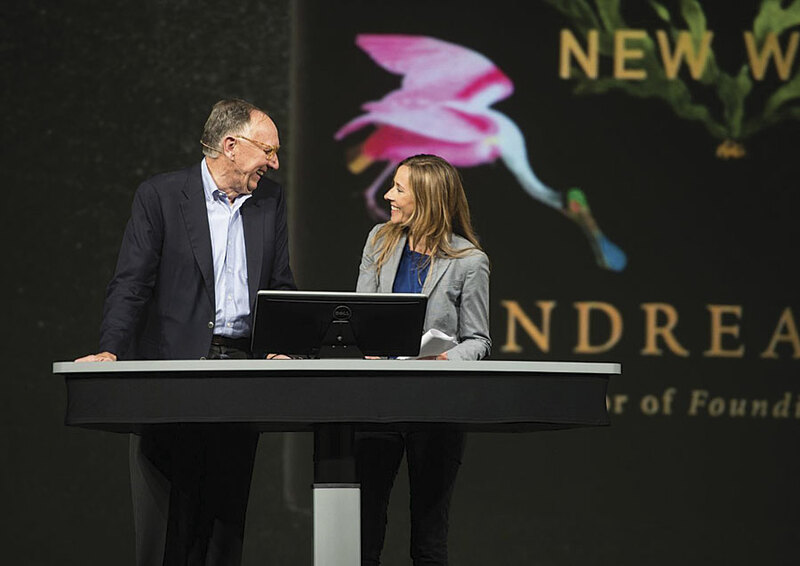 Andrea Wulf, author of The Invention of Nature about Alexander von Humboldt, was the keynote speaker at the 2016 Esri User Conference. Wulf said that after Humboldt returned to Europe, he hired mappers and artists to create a color lithograph of the Naturgemälde. Geographie der Pflanzen in den Tropen-Ländern, or Geography of Plants in the Tropical Countries, was published in the 1807 Essay on the Geography of Plants by Humboldt and Aimé B onpland, the French botanist who accompanied him to South America. Snow-covered Mount Chimborazo appears in the lithograph, with a small plume of ash spewing out of the top. The mountainside is annotated with the names of plants, positioned at the locations where Humboldt and Bonpland found them. 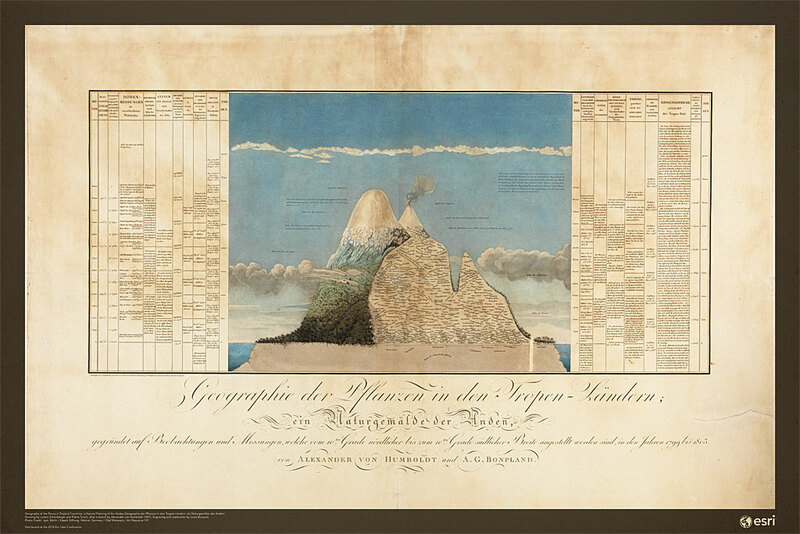 Columns on the left and right sides of the lithograph contain the elevation, barometric pressure, temperature, types of soil, blueness of the sky, boiling temperature of water at various elevations, and other observations as well as extensive notes on the men’s geognostic view of the tropical world. The lithograph of the Naturgemälde, with its mapped plants, looks like an early GIS observed Wulf. “That is exactly what it is,” she said. “It is packed with complex information, yet it is simple to understand. It shows connections that no one knew before.” Everyone who attended the Esri UC Plenary Session received a poster of the lithograph. Humboldt used infographics to show the spatial distribution of the plants on the mountain and the relationship between the types of vegetation found at various elevations. Publishing the lithograph in a book was his way of sharing that knowledge with a wide audience. In April 2015, Wulf spent time at Esri headquarters in Redlands, California. There she spoke about her book and learned more about GIS. 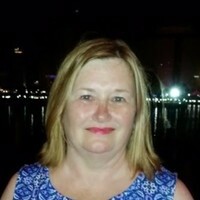 She was impressed with the creation of the Living Atlas of the World, which includes contributions of maps, apps, and imagery from many organizations. Esri UC attendees, such as Judith Bock from Elmhurst College in Illinois, were delighted by Wulf’s talk. “Her passion about him came through, and I learned a lot about him,” Bock said, adding that the information Wulf provided about Humboldt’s Mount Chimborazo vegetation map was particularly enlightening.